Select this upholstered Sandy Creek Sofa or one with a leather covering for your home. 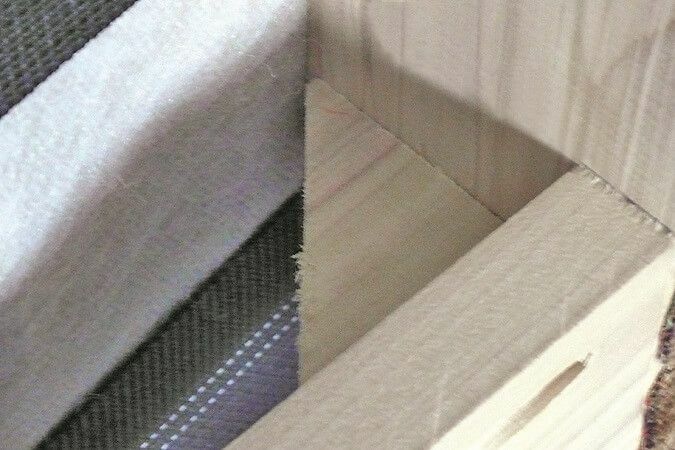 Either one will be Amish handmade for top quality and comfort. Your Amish handmade cushioned sofa is great for relaxation, comfort, and beauty. 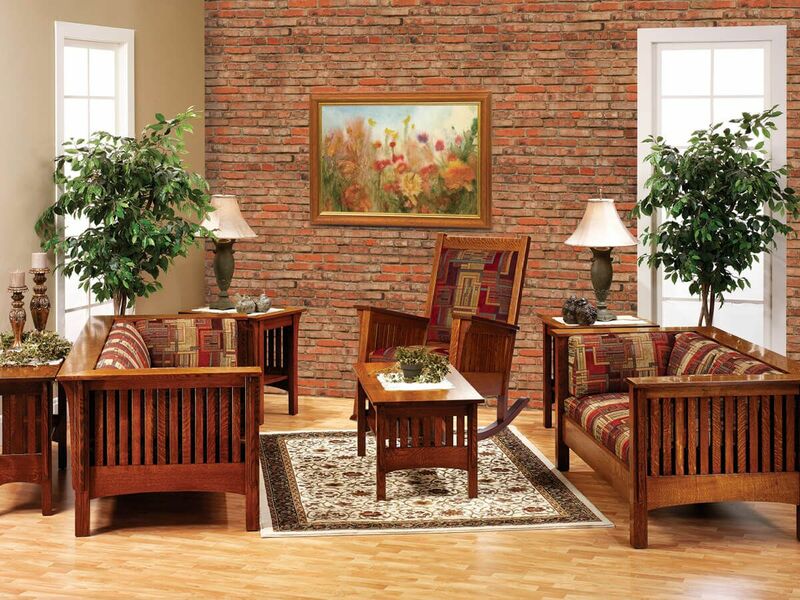 This Mission Style sofa look could become more formal or more casual depending on the wood type and stain color. Place our Sandy Creek Sofa with an Amish made entertainment center, or pair it with a complementing recliner, end tables and more. 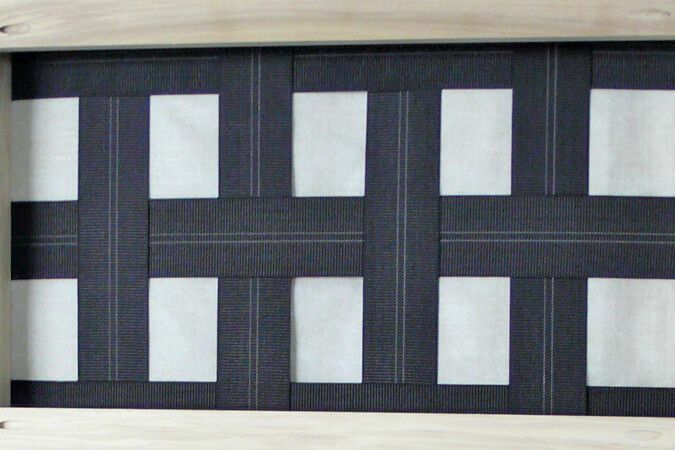 Construction is of the finest solid wood, and is handcrafted with solid mortise and tenon joinery. 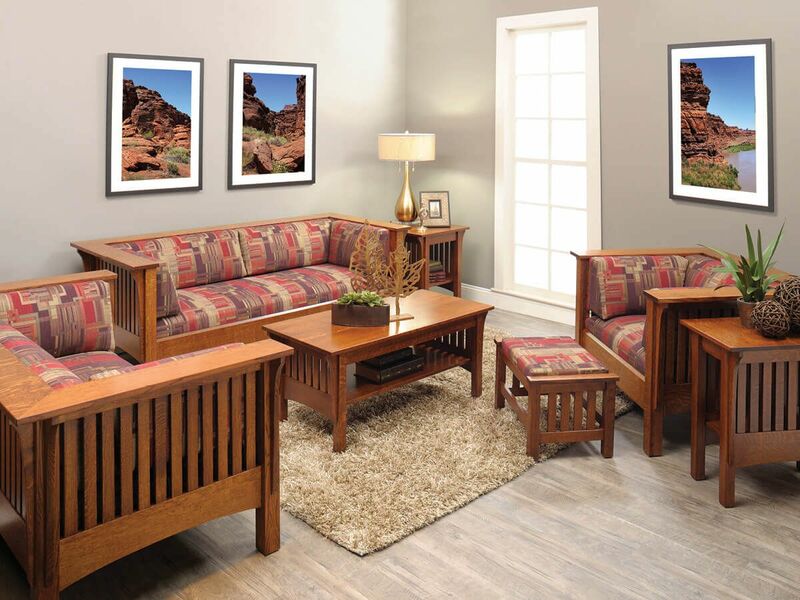 Showcasing Mission-style slats, your Sandy Creek Sofa will bring you and your family many happy years of comfort. Design your Sandy Creek Sofa by selecting the wood, stain, and upholstery option that best complements your style. 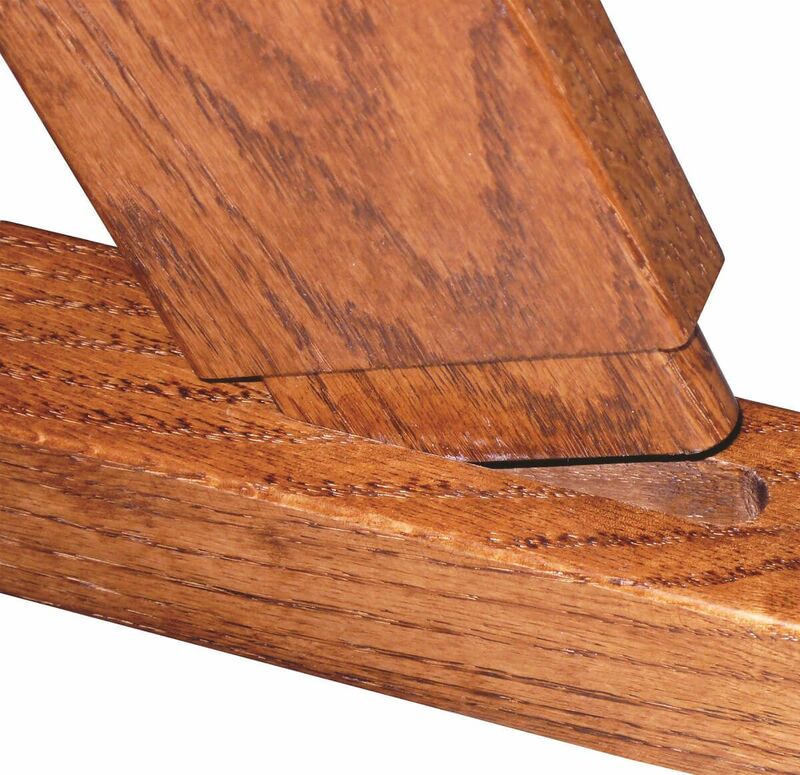 To order as shown, select Quartersawn White Oak with a Cinnamon Stick stain.